My first Android phone was the Google Nexus One, which was the first Google-branded Android phone. It was sold directly through Google and was the first to receive all of the updates directly from Google. Now, a few years later, I have the Google Nexus 7 tablet, which holds the same philosophy. There have been a couple of smartphones released in the past few years that also hold the Nexus name. 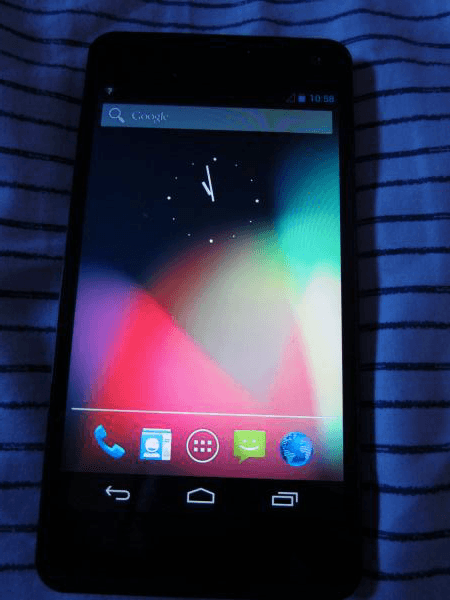 The latest is the Nexus 4, which will be manufactured by LG. The phone is expected to come with Qualcomm’s Snapdragon quad-core processor, 2 gigabytes of RAM, a 1,280×768 True-High Definition IPS display, an 8-megapixel camera, and a nonremovable battery. It will also have no microSD slot and only 8GB to 16GB of internal storage, according to Modaco. Its also rumored to have Android 4.2 Kandy Korn or Krispy Kreme or Key Lime Pie, whichever tasty desert Google goes with for this version.